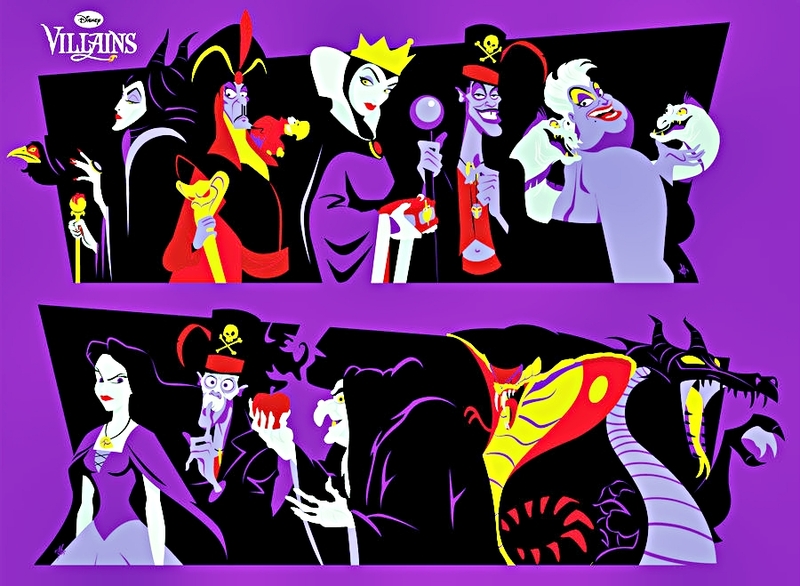 Walt Disney fan Art - Disney Villains. Walt Disney fan Art of Ursula, Flotsam, Jetsam and Vanessa from "The Little Mermaid" (1989), Jafar and Iago from "Aladdin" (1992), Queen Grimhilde from "Snow White and the Seven Dwarfs" (1937), Maleficent and Diablo from "Sleeping Beauty and Dr. Faci. HD Wallpaper and background images in the Walt Disney Characters club tagged: walt disney characters walt disney fan art the little mermaid ursula flotsam jetsam vanessa jafar sleeping beauty maleficent. This Walt Disney Characters fan art might contain anime, grappig boek, manga, cartoon, and stripboek.